This article is a continuation of the previous article, How to Conduct Proper Bitcoin Price Analysis: Introduction. Bitcoin price analysis is a growing practice in the Bitcoin community. It is the process of analyzing changes in the Bitcoin markets, determining what caused those price changes, and it usually involves making predictions about future movements in the Bitcoin price. Many writers for the various crypto-currency news websites are now conducting price analysis and are using their findings to give advice on how investors should use their money, advising them on whether or not they should buy or sell. However, the majority of people who do Bitcoin price analysis adhere to flawed methodologies, rooted in positivism and latent Keynesianism, that produce results that are almost never accurate. These fallacious methodologies lead to wild predictions about the future of the Bitcoin price, with analysts stating either radical increases or decreases in price. The only times these analyses are correct is when the people writing them get lucky; even a broken clock is right twice a day. This article is the first part in a 3 part series that is dedicated to teaching anyone who is interested how to conduct proper Bitcoin price analysis. This first part is centered around employing the correct economic methodology when approaching price analysis. 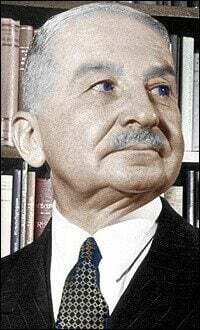 We will look at the importance of the Austrian methodology—praxeology—and why positivist doctrines consistently fail in their attempts to correctly interpret economic events. 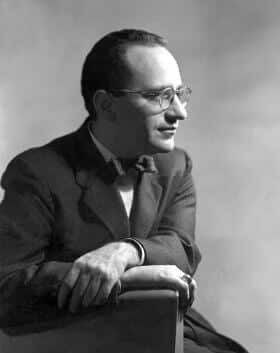 It is essential that a person wanting to formulate accurate analyses uses sound economic theory. Movements in the Bitcoin price should be treated as objects of human action, with a definite causal connection to acting individuals. They should not be treated as aggregates and unmotivated objects blindly reacting to stimuli. The Austrian school of economics begins formulating its general economic theory with the action axiom, then builds the theory outward from that starting point. The action axiom states that all human beings employ purposeful action in order to remove felt uneasiness. Therefore, the foundation of the entire economic theory is made up of the actions of the individual. This method of economic analysis, which examines situations from the perspective of acting individuals, is called praxeology. Praxeology is a deductive science, and therefore has received the harshest criticism from the natural sciences, which are necessarily empiricist. This criticism comes from a belief that all scientific studies must be conducted empirically in order to produce information that is of any use. However, it is impossible to apply the principles of empiricism to all aspects of science. It is also incorrect to say that any study that does not adhere to those principles are unscientific. Studying human action is indeed scientific, as it involves creating and testing hypotheses and debating on theoretical concepts. Economics, even when studied praxeologically, is actually very scientific. In actuality, economists who conduct research using a praxeological approach often produce much more useful information than the positivist economists who build their studies around mathematical models and an assumption of an evenly rotating economy. This is because humans are not static objects that react meaninglessly to stimuli. We also do not react the same way to the same stimuli at different times. Human beings employ meaningful action and are governed by the rules of logic. Therefore, in order to understand the consequences of individual actions and how they can produce an entire economy, the scientific study of human action must use the rules of logic. The methodology applied in a study must be relevant to the object being observed. This fact is why science in general cannot be ruled by one prevailing doctrine, which has unequivocally become positivism, or empiricism. Both positivism and deductive logic have their place in the various areas of science. Depending on what is being studied, one can prove to be more useful than the other. Natural sciences must be studied using the principles of positivism because the objects being studied by the natural sciences are static, they have no conscious as far as we know. These objects react to the same stimulus in the same way no matter when the stimulus is introduced. That type of staticity is best measured by adhering to the methods of empirical study. On the other hand, social sciences must use deductive logic, as they deal with human beings that are bound to the rules of logic by their very nature. If a human being has one explicit goal that he or she wishes to meet, then that individual must choose one course of action from a definite set of means the he or she believes will lead to the accomplishment of that goal. There currently is no way to quantify such data; an individual's ends and his or her chosen means cannot be fit into an algebraic equation or some econometric model. Human action must be analyzed by using logic to determine the outcome of the means employed in provident action. We must say that: if A then B; A, therefore B. That is the only way to accurately judge the viability of a chosen means aimed at reaching a definite end. Saying that 2+2=B flies in the face of all rationality and scientific though. Yet, that is precisely what the positivist economists are doing! The positivists, the Keynesians and the Neo-Keynesians, remove the human element from their analyses of economic activity. Everything is done through the empirical study of the movement of money and the allocation of capital. All data is assumed to occur autonomously in an evenly rotating economy. When such an assumption is made, then of course we can apply the positivist economic models and come up with data that is relevant in the evenly rotating economy. But no such state of perfect equilibrium has ever, and likely will never, exist in the real world. For in the real world there is no autonomous circulation of money and allocation of capital. In the real world, those things are done by individuals looking to remove some sort of felt uneasiness from their lives. Therefore, any and all economic activity is by nature governed by the rules of logic. So to remove that human element from economics and observe only the empirical data inside of an assumed theoretical construct that is impossible in reality for the sake of “science” is boldly unscientific, as it fails to examine the true catalyst of all economic activity: human action. And yet the positivist economists have the gall to brand praxeology as unscientific because it uses logic to analyze human action that is necessarily governed by logic! Examining changes in the Bitcoin price and explaining their causes is no different from any other field of economic analysis. This fact means that praxeology applies no less to Bitcoin price analysis than it does to studying the effects of monetary or fiscal policies. Yet, most people who try to do price analysis fall victim to the doctrine of economic positivism. They use statistical models and trend indicators that are used by the mainstream economic analysts, who have been taught the fallacious doctrines of the Neo-Keynesians. Those mainstream economists are almost never correct in their predictions and forecasts, so it is no surprise that most Bitcoin price analysts make wild predictions about future price trajectories that rarely, if ever, come true. 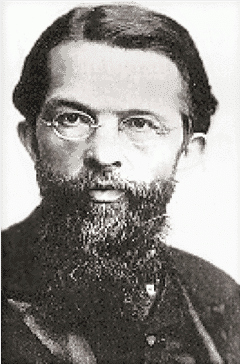 Carl Menger, the "father" of the Austrian school of economics. Conducting analysis from a positivist point of view opens one up to all of the flawed practices involved in using the wrong method of economic analysis. Treating the Bitcoin price as an unmotivated outcome of natural processes, rather than an outcome of human action, and ascribing to it characteristics that follow definite trends and patterns leads only to mistakes and inaccurate data. However, these mistakes and inaccuracies are not immediately noticeable on the surface, and may even appear to actually be valid data. For instance, let us assume that the Bitcoin price has always sharply jumped upward at almost the exact point in time, during late summer. Empirical charts and models can show this occurrence , and will ascribe to it a characteristic of certain repetition; the Bitcoin price will always turn upwards in late summer because it always has, ever since Bitcoin gained a significant amount of market activity. They ascribe to Bitcoin a cyclical nature that will reoccur without failure. While this scenario is hypothetical, many people are expecting an upward turn in prices because of an expecting repeat of the “bubble cycle” that was allegedly established late last summer. That mistakenly assigned characteristic is what leads people in the community to speak of a cycle of Bitcoin price “bubbles” and treat it as if these cycles happen as surely as the sun rises and sets. The majority of Bitcoin price analysis is built around this faulty assumption. People glue their eyes to price charts, looking for similarities in the shape of this month's price trajectory with those of the same month from the year before. They plug various figures into equations and models, the results of which they use to draw trend lines and claim that these lines draw the future of the Bitcoin price without a doubt. And they always end up being horribly wrong. Would it not be more useful to treat price changes as consequences of human action rather than motiveless responses to various stimuli? If we could find out what events happen regularly in the late summer months that cause individuals to by more bitcoins, instead of just tacitly assuming that an increase in prices will happen every summer, would we not have a better understanding of what happened in the world when that trend eventually fails to repeat itself? Let us assume that the Bitcoin price has had a sharp upward turn in the late summer months because this is when college students pay their tuition and buy their school books. A lot of those students receive refund checks because they end up taking out a larger student loan than they actually need. So they use that extra money to buy some Bitcoin. Now let us assume that, for whatever reason, the federal financial aid program ends and students no longer take out student loans with the federal government, which means they no longer get refund checks. That would of course mean that the yearly jump in prices would come to an end. What would the positivists have to say about that; what would their charts and equations tell them? They would have to completely overhaul their entire analysis process, while a person who used the praxeological method would know exactly what happened and where the Bitcoin price would go from that point forward. Treating any economic data, including the Bitcoin price, as an entity all on its own, independent of the choices of individuals, will only lead to fallacious assumptions about the economy in general, inaccurate data, and incorrect suggestions and predictions for the future. The only way to understand the true extent of changes in the Bitcoin price is to treat them as consequences of changes in individual valuations and to seek out the causes of those changes. This praxeological method of economic analysis will elicit a legitimate understanding of why and how price changes come about. Treating the economic activities of the Bitcoin community as offshoots of decisions made by individuals is really the only way to paint a truly accurate image of what is happening in our world.